Offer your Canadian clients the same options in an online environment as they have at a retail store. Accepting Interac Online payments allows you to tap into a network of 24 million Canadians who trust the Interac brand. Interac only supports the following banks in Canada: TD Canada Trust, RBC, BMO, and Scotia Bank. Processing and authentication is done direct by the customer's bank. You'll avoid fraud-coded chargebacks and lower transaction risks. INTERAC Online fees are lower than online credit card processing fees. Accepting this alternate payment method will save you money. The INTERAC Online service attracts the younger demographic and the credit weary. Provide an option for younger consumers and other clients who can't get or won't use credit cards. 74% of Canadians prefer to use their own money - not credit. Until recently, online purchasing in Canada was limited to credit card transactions. Not any more. 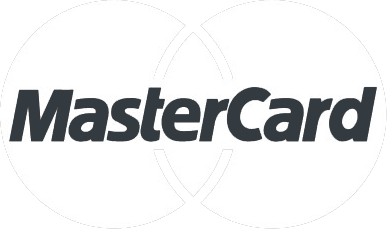 Our Bambora (formally Beanstream) Interac module offers a preferred payment alternative to the 24 million Canadians that already have a bank card. 1. 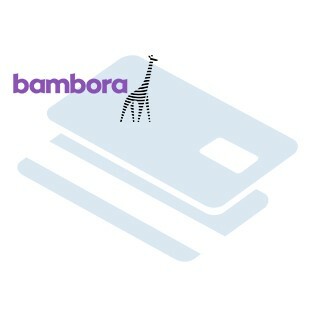 From your checkout the client selects Bambora Interac payment menthod. 2. They are directed to the Interac Online site where they select their bank. 3. From their financial institution they login and approve the transaction. 4. The client is returned to your site, the payment is confirmed and the order complete. You should always backup your Magento Database & Magento Installation files. Please read all instructions before you start so you understand all the caveats of installing this module. After you have downloaded the Bambora Interac module for your store, please use a tool like Winrar, WinZip or similar to unzip the contents of the ZIP file you downloaded. Now check the extracted files, you should an "app" folder. Then you are ready to upload your files. Open your favorite FTP/SFTP/SCP client and connect to the server with your Magento installation. Navigate to the root folder of the Magento installation, in other words the folder that contains folders like "app", "skin", "js", "lib" and more. Then, upload the extracted folders directly into the root of your Magento installation. Your FTP client will not overwrite any files, it will only upload the new files that come with the software. Once done, it will create an Interac folder in the frontend/default/default/template/interac folder this will have to exist in your current template folder (ie: design/frontend/CollinsHarper.com/default/template/interac). After you have uploaded the files, you need to login to your Magento administration panel and refresh your cache by going to System > Cache management. Choose "Select All" and click "Refresh", so the cache gets updated. Then, go to your System > Configuration page and select Payment Methods. 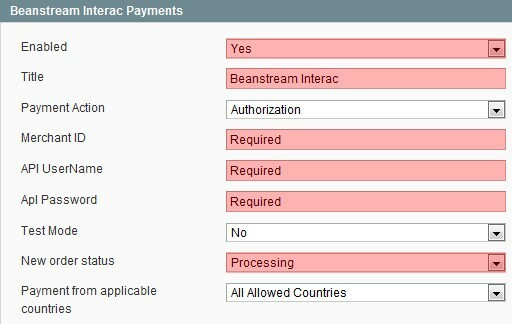 Verify that you have a new option called "Bambora Interac Payments" in the Payment Methods page. If you can see it there, Bambora Interac has been installed correctly. Be very cautious with sitename vs www.sitename as your SSL may have errors if it does not match. 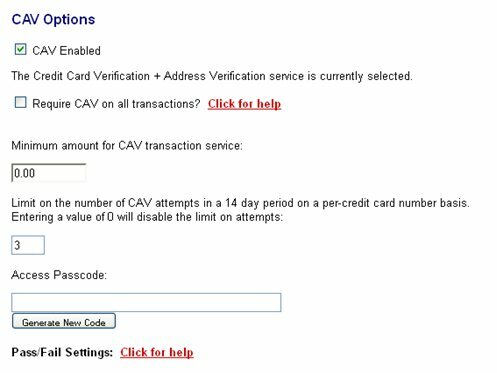 If you have CAV enabled on your account, you need to deselect require CAV on all transactions. The minimum amount for CAV must always be 0.00. After you have configured the module and products, you need to make sure it is tested properly. Please open your Magento website in a browser, add a product to your cart, and then navigate to the payment methods and see how it looks. If the checkout looks good and everything seems to be working, please make a few test purchases with your different options (cancel, success, etc). Need help? Please contact us using the contact form or call 1-866-325-9627. Paid installation is available.